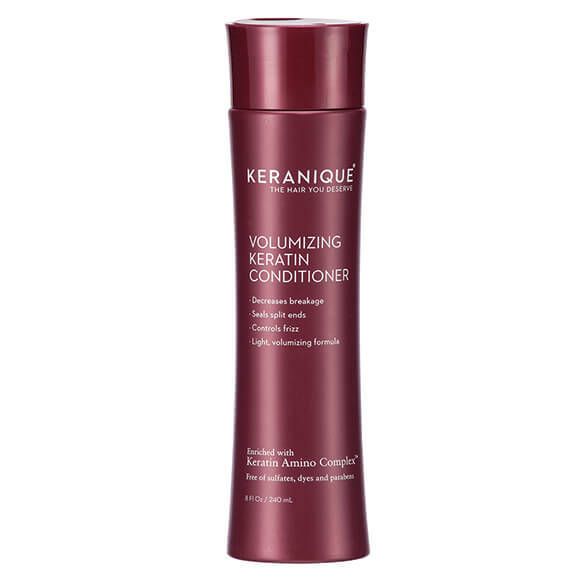 Keranique® Volumizing Conditioner is specifically designed to thicken and volumize thin, fine hair without weighing it down. The special cream-gel formula coats and protects thinning hair with a keratin enriched coating. Perfectly balanced to moisturize and detangle hair, leaving it soft and silky. Safe for color-treated hair. 8 fl. oz.